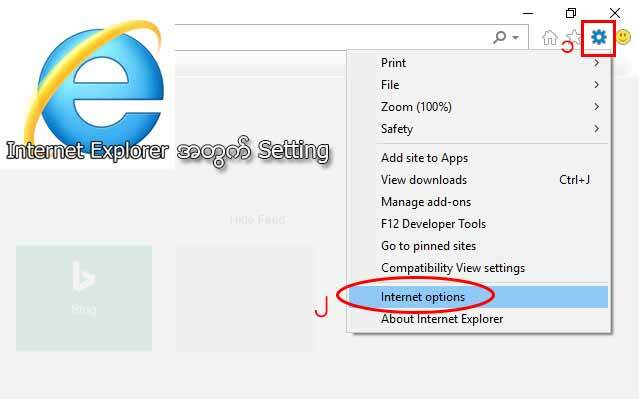 Everyday we use computers with the Internet browsers such as Chrome, Firefox and so on to watch youtube, facebook, news and more. 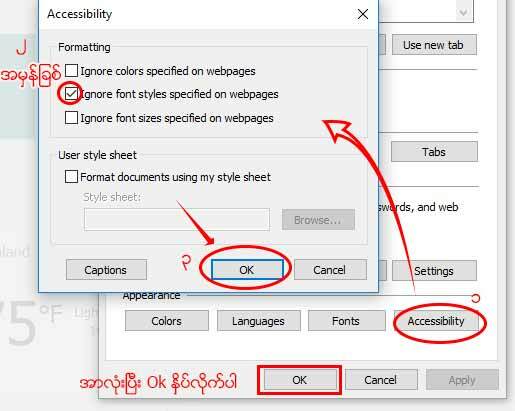 We face difficulties reading the Myanmar letters due wrong settings. 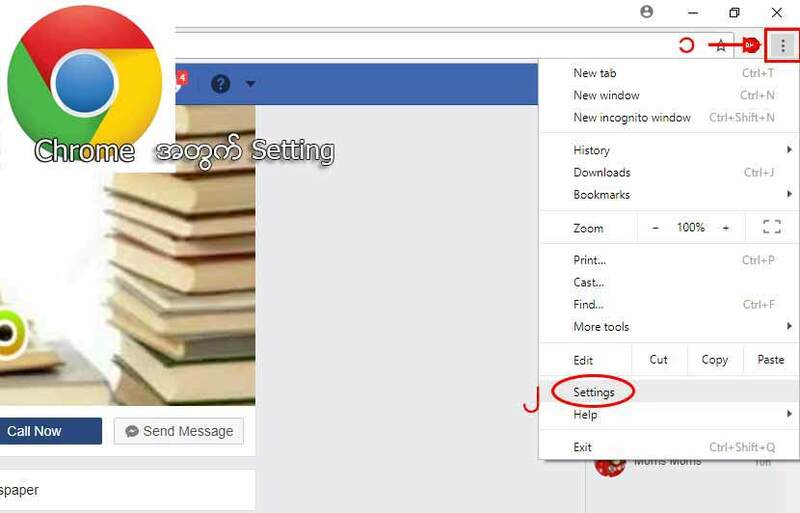 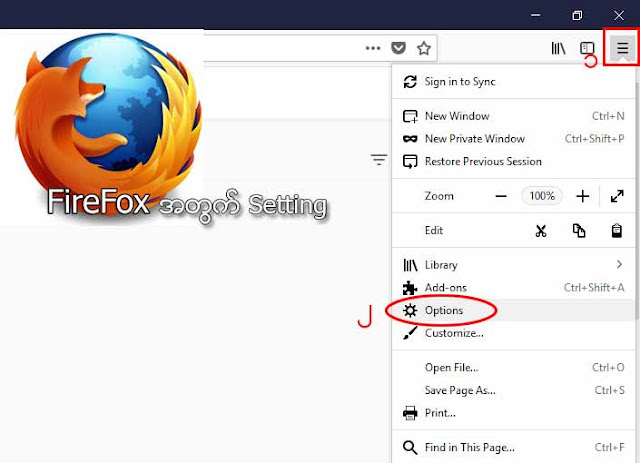 အသံုးမ်ားတဲ့ Browser ၃မ်ိဳးအတြက္ Settings ခ်ိန္မယ္ Let's work on the settings of the most used three browsers. 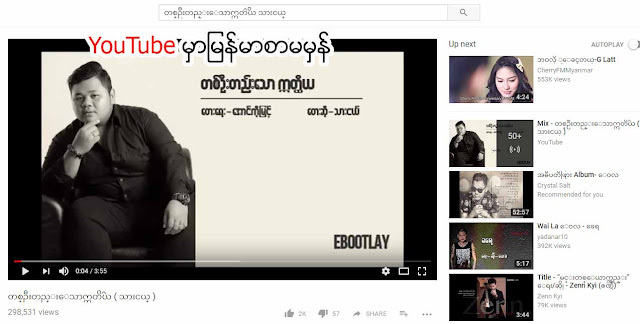 Browser ရဲ႕ညာေပၚေထာင့္က အစက္ ၃ စက္ေလးနဲ႔စပါမယ္ Let's start with the 3 dots on the top right of the browsers. 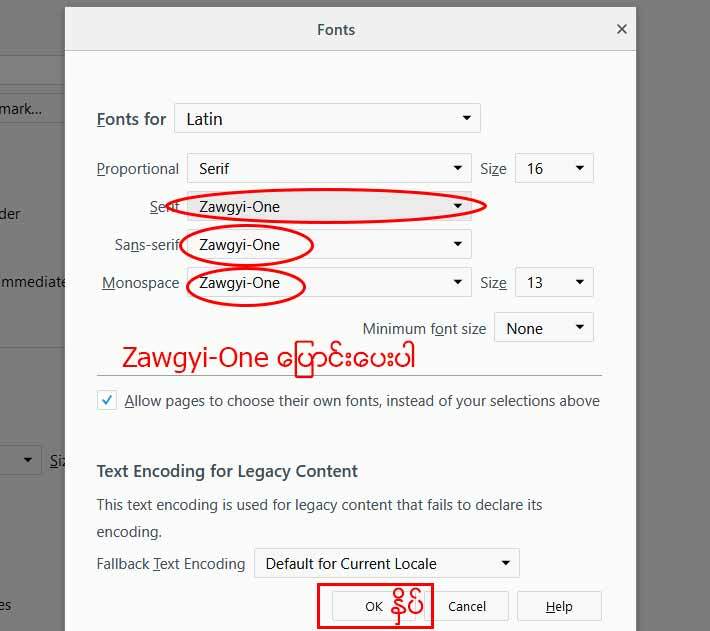 အားလံုးကို Zawgyi-One ေျပာင္းလိုက္ပါ။ တကယ္ေတာ့ Standard Font တစ္ခုမွာပဲေျပာင္းရံုသာ ဖတ္လို႔ရေနပါၿပီ။ Change all to Zawgyi-One. 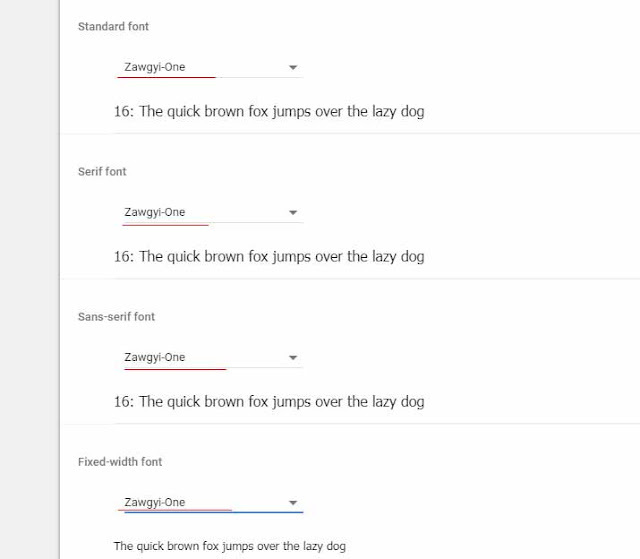 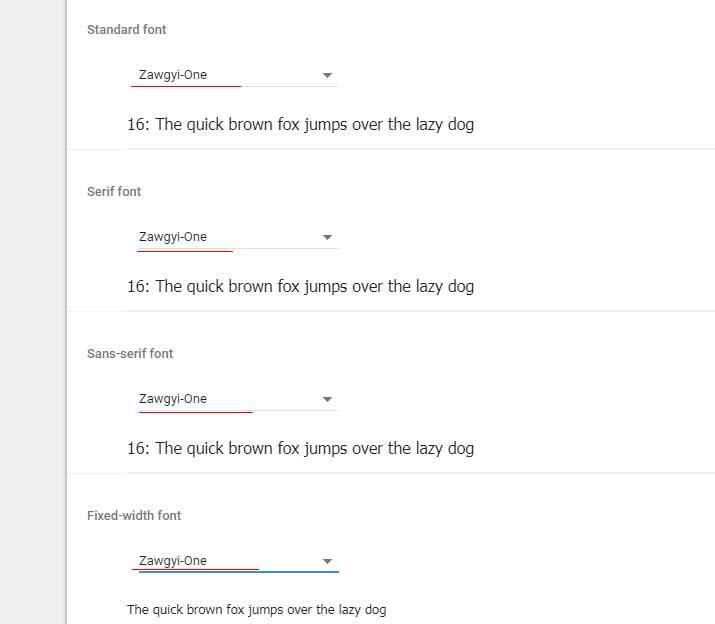 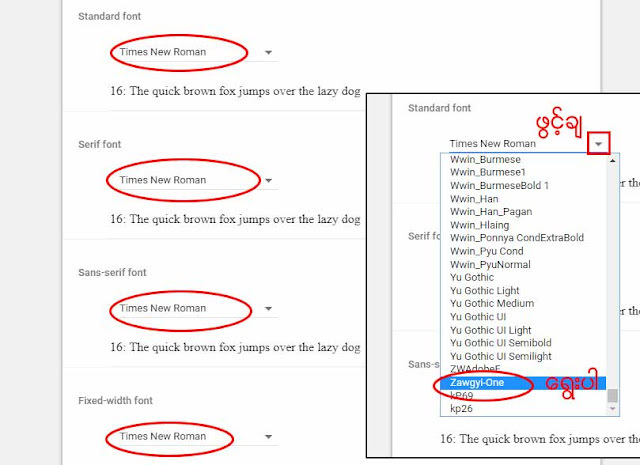 Actually by changing only "Standard Font", we can read already. 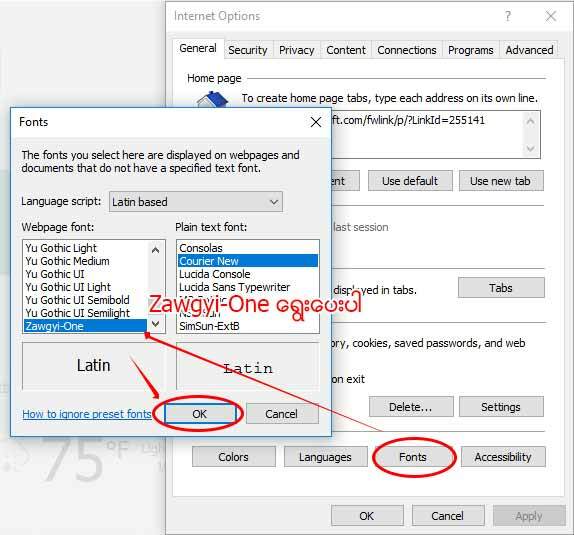 Please follow the screenshots shown. 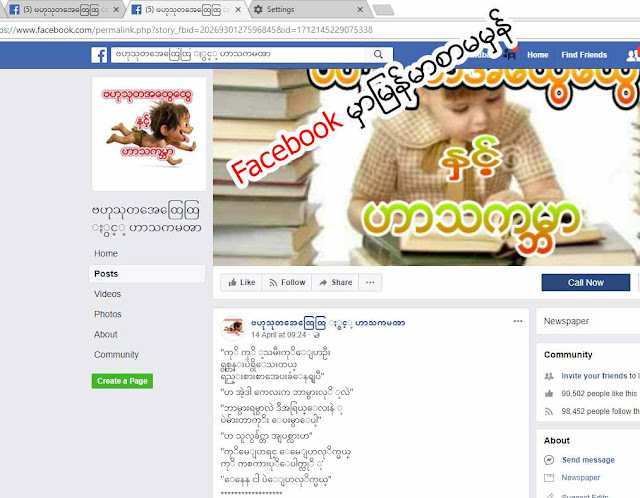 ျမန္မာစာမွန္တာ ဖတ္လို႔မရတာ ေတြေျဖရွင္းအၿပီးမွာေတာ့ Once we finish solving the problem, you should be able to read Myanmar characters. Hope everything is fine by now. Good Luck.